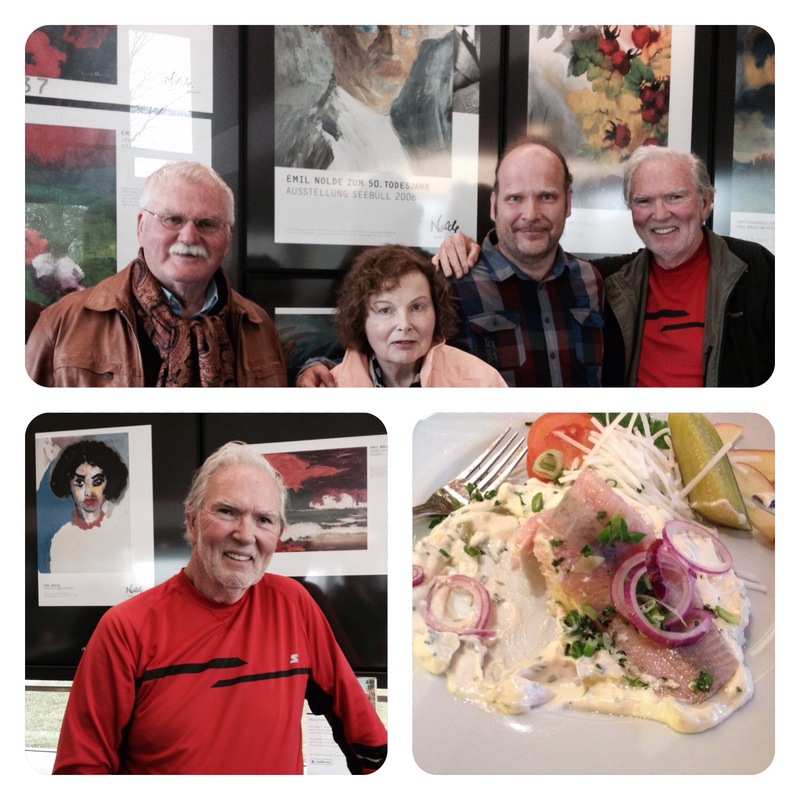 Spent a splendid day with friends, Brigitte, James, and Heiner, first driving north to Nordstrand, Nordfriesenland, Germany to look at the North Sea–windy, drizzly, but a. great matjes roll for lunch (one of my favorite fish: young immature marinated herring). It only got better with a visit to the Emil Nolde Museum. He was one of the first expressionists as a member of “Die Brücke.” The picture of us in front of some of his works gives an idea of his style. For dinner–you guessed it–more matjes! I failed to remember Rose’s warning about the smiley face. Sorry. Could not see how to edit. My German friends got a BIG chuckle out of it! We felt that a BIG smiley face carries much more weight!! !